The robust and compact mini quartz movements are only 2 1/8 x 2 1/8 square. These units run on either one C cell battery or one AA battery. 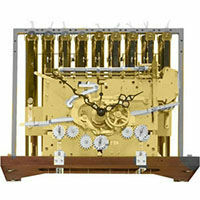 Chiming quartz movements that play Westminster or other chime options. Some have an ANSO feature that will not play at night. Spring driven clocks wind up with a clock key. These new units are brand new, costs less than a overhaul, and ships immediately. 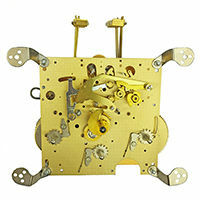 Mechanical German made weight driven clock movements are brand new and ships immediately. These quality units are factory lubricated and brand new. 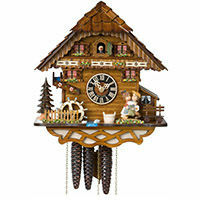 Putting a cuckoo clock back in working order starts with these web pages of parts, tools, movements. 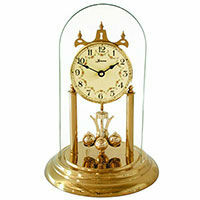 We offer bellow tops needed and cuckoo clock oil also. Anniversary clocks are also called 400 day clocks because they are usually wound once a year on a holiday such as an anniversary. Yes we have the suspension springs. 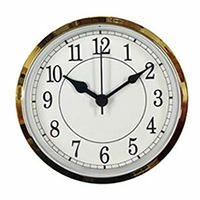 Electric clock movements are sometimes hard to get or even to figure out what one is needed. 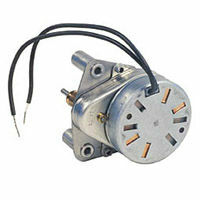 We offer the most common electric clock motors on the market. These are complete clocks that fit into a hole. It is the easiest of the clock making hobby as all you have to do it have a hole in something to make a clock out of it. From mini quartz clock movements to large mechanical grandfather clock kits, we have the clock parts and supplies available for your projects. If you have a certain clock you would like to duplicate, please email some pictures to us of your idealistic clock and we can guide you through the clock parts needed. With our 80 years of combined experience we can offer support if needed to help your clock projects success. Clockworks is your global distributor of Clock Movements, Parts, and Tools. 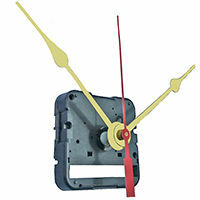 With Clockworks, you can repair or replace your clock movement and be on time in no time. Offering quartz or mechanical clock movements to replace old units, or to repair the old movement with our parts and tools. 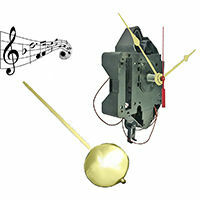 There is phone, chat, or email support to help you through replacing your quartz or mechanical clock movement.